At first blush, Chevy Stevens' debut novel Still Missing (Winner of the 2011 Thriller Award for Best First Novel issued by the International Thriller Writers) wouldn't be something I would consider for the R.I.P. Challenge VI, as it is neither Gothic or supernatural, although there is a mystery. I am reading Rebecca by Daphne du Maurier, which I love and would definitely count for the Challenge, so I thought this audiobook was more to while away the ten-plus hour road trip from Florida to Virginia last week. I wanted to try something a bit different, something suspenseful with an even better mystery to sort out. 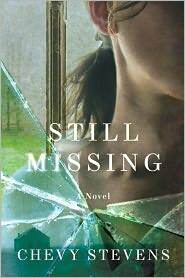 When Still Missing was first released, it garnered rave reviews in the blogosphere and the general view was unanimous that the reader should dive into the book not really knowing too much of the plot. Wise advice, so here's a snapshot: Annie is a young realtor holding an open house on a beautiful day by the water in a quiet residential neighborhood in Vancouver. By the end of the day, tired and packing up, waiting for her boyfriend to meet her for dinner, the last walk-in arrives. Debating if she should turn him away, she instead decides to go ahead and show him the house. He seems harmless enough. It was not what I was expecting. Since I plan to read more than four books for Peril the First, I am going to list this as my first book for the R.I.P. Challenge because there is a mystery and it is extremely scary. What follows after Annie shows the house to the last minute walk-in is terrifying. Told through Annie's first-person perspective to her therapist after the crime has been committed, it is disturbing and horrifying, witnessing Annie's terror from the abduction and other offenses that are committed. And while the reader (listener) is reeling from the events of the story, it is only then that you learn that there is much, much more to keep you up at night. While surrounded by a small circle of friends, Annie continues to be tormented by the realization that the horror may not be over yet and that those around her could very well be more than they seem. 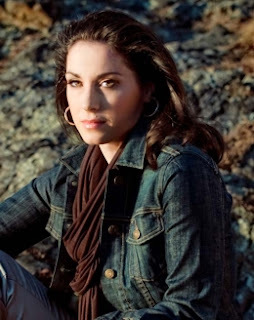 Chevy Stevens has certainly left her mark - while the subject matter in Still Missing was difficult and horrifying, it was a story that we couldn't stop listening to and it brought out a range of emotions for us. But I will not sugar coat this. This is an extremely tough story due to both the crime itself and the subsequent aftermath and mystery, and through an audiobook it is even more disturbing. However, since the story is told in first-person, the audio version seemed to suit the story best in that format, almost simulating the listener as Annie's therapist and engaging you into the story even more. Be warned - while an incredible and memorable story and one I recommend, the subject matter is graphic and violent. If you do listen to the audiobook, please let me know your thoughts. Chevy Stevens grew up on a ranch on Vancouver Island and still calls the island home. For most of her adult life she worked in sales, first as a rep for a giftware company and then as a Realtor. At open houses, waiting between potential buyers, she spent hours scaring herself with thoughts of horrible things that could happen to her. Her most terrifying scenario, which began with being abducted, was the inspiration for Still Missing. After six months, Chevy sold her house and left real estate so she could finish the book. 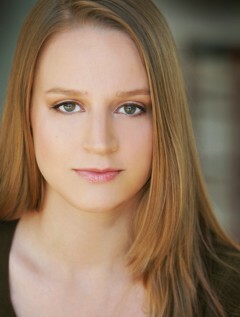 She is also the author of the recently released Never Knowing. Click here to become a fan of the author on Facebook. The narrator for this production, Angela Dawe, superbly carried off Annie's character. As with what you might expect or imagine, for those who have survived such a crime, the character Annie went through a range of emotions, from cold and clinical, to sarcastic, to devastated - and Angela Dawe represented each without fault. A tough role to voice, I'm sure, but she captured the character so effectively, I was speechless when the audio concluded. I look forward to more from this narrator. Click here to download Still Missing via iTunes. From her bio: Angela Dawe is originaly from Lansing, Michigan and calls Chicago her home. You can also hear her voice for the following audiobooks: The Sheen on the Silk by Anne Perry, Wild Roses by Deb Caletti, and Savor the Moment by Nora Roberts. When downloading this before our road trip, I didn't think of this as something for Carl's R.I.P. Challenge VI. I hope it's okay to do so, since as we listened for the 10 straight hours without many stops, I couldn't imagine a story more representative of some of the categories for this challenge. While it is not Gothic or supernatural in any way, it is suspenseful, it is a mystery, and it is so very, very scary. Click here to see a list of all of the reviews posted for this challenge thus far. I've committed to Peril the First, which means that I should read four books by October 31st. This will be the first book for the challenge, but I am planning to read more than this level's requirement! Wow I can imagine how creepy this must be on audio! But it also would be neat to feel like the character was speaking directly to me, lol. I read her first and it was very very scary! This does sound like a good choice for RIP! Since it is a mystery (and more) I'm sure it totally fits for R.I.P. Mystery is one of the categories. It must have been especially scary on audio, seemingly so personal. I think I'll have to experience this one in print. Sounds like a chilling excellent audio! I hope you're enjoying Rebecca, it's a fantastic book! This is exactly the sort of psycological-thriller that I enjoy reading. Thank you for sharing such an enticing review! As an aside, I only stumbled onto your blog because of R.I.P, and I have enjoyed quite a bit of the other content this evening! I look forward to visitng again even after the challenge ends! First of all, anything you feel counts for the challenge counts for the challenge. Who am I to say what folks find scary, creepy, mysterious, thrilling? Secondly, this definitely fits the definition. Any kind of mystery would and this sounds quite terrifying from your description. Reading between the lines it sounds like the kind of thing I generally avoid. Of course that is making assumptions about what happens to the young woman. I'm glad after all the hype you heard that it turned out to be good. I love good audio books. There is just something about someone reading *to* you. 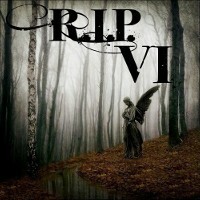 Congrats on your first R.I.P. read. I hope everything else you read turns out to be just as good or better. Oh I need to get the audio from the library...sounds really good. I read this one but I think the audio would be awesome at conveying the horror/terror of the plot. I must look into seeing if my library has it. This book sounds so great! You've hooked me already with your very brief (and for this I thank you that you didn't give too much away) hook. Even the words 'thriller' and 'international' together are unbeatable! Love that you're reading Rebecca; it's one of my all time favorites. And can you believe the ending?!? I read this last year, I think, and was just blown away by the story it tells. You are right, it is frightening and horrifying, and that twist at the end almost did me in! It was an incredible book, but one that left me very shaken up. It probably would have been even more affecting having listened to it. A great and powerful read, but one that still makes me shudder. Your review was quite excellent as well! Wait...she would make up stories to scare herself with?? Whatever happened to happy daydreams? I actually really want to read this. I had it out from the library, but I just didn't have the time to read it. I will have to try again. This was a book that I just could not put down! My sister just finished it and she said the exact same thing :) It is terrifying and dark but a really good read! Great review! This would DEFINITELY count as a RIP Read. Very scary. I can't imagine it on audio ... I bet it was even more effective. I read this one last year, when it first released, and I agree, it's best to read not knowing much about it. I did have a few issues with it, but it was worth reading. Thanks for reminding me about this one. My library has this audio version, maybe I'll give it a listen.